Jack Dunn swings. The senior has helped lead NU through a turnaround season in 2019. On April 3, Northwestern’s Twitter account threw up a literal prayer hands emoji asking fans to nominate Jack Dunn for the Golden Spikes Award, which is given each year to the best amateur player in the country. Despite the push to get him on the ballot, the senior shortstop wasn’t featured on the midseason watch list revealed last Wednesday. According to an athletic department spokesperson, the program doesn’t know how many people nominated Dunn following the week-long promotional campaign. The odds that Dunn would receive a nomination were always long, as he’s a nationally unheralded senior who plays for a middling team outside the top-25. But Dunn has reached several statistical milestones this year, including becoming the 20th player in Northwestern history to reach 200 hits. The Wildcats’ (16-16, 5-4 Big Ten) game Tuesday against Notre Dame (13-21, 8-10 ACC) will likely be Dunn’s 33rd this year in the leadoff spot. It would be expected for Dunn – who hits at a team-high .383 clip – to lead the team in runs. However, the shortstop leads the Cats in both runs and RBIs, even though he would seem to be the least likely player to have runners on base when he comes to the plate. Dunn averages 3.75 at-bats per game, and one of them takes place at the start of the first inning without a runner on base. For those other at-bats, Dunn is preceded in the lineup by whichever hitters coach Spencer Allen slates at the bottom of the order. The batters who typically occupy the sixth through the ninth spots have combined to hit .210 over the course of the year. If they get on, Dunn is likely to knock them in. Freshman catcher Michael Trautwein has started 26 of 32 games and has been slated in the six-spot recently. His .258 batting average is tied with senior outfielder Ben Dickey for the highest of any player who hits at the bottom of the order. Of the remaining players who have started a conference game this season, none hits better than .226. Despite the hitters at the bottom of the order having a subpar season, Dunn is having a career year. 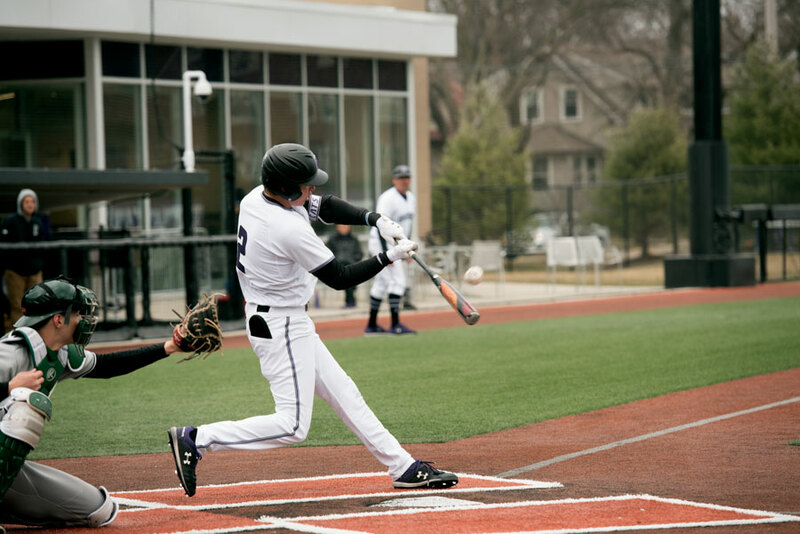 Dunn has knocked in the cast of players who hit ahead of him a team-high total 28 times, and his .385 batting average leads the Big Ten by nearly 20 points. Even without a Golden Spikes nomination, Dunn has helped lead the Cats to a winning conference record nine games into the Big Ten schedule. It will only take one more win for NU to match its conference win total from last season, with 16 Big Ten games left to play in 2019.